flower is bigger than my face. red roses are in blossom in my garden. fallen flowers make the campus beautiful. A Very Happy Myanmar New Year ! May this New Year bring joy, love, happiness, success and delight in your life. 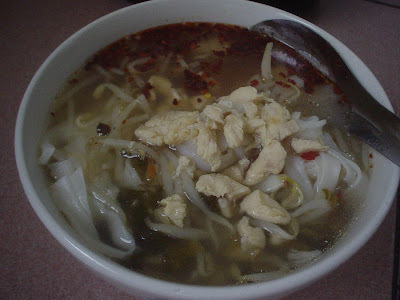 This is called "Shan Noodle" in Myanmar. I cooked it for breakfast this morning. It is a bit hot because of chili.